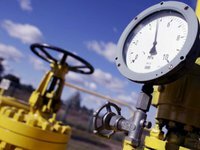 Naftogaz Ukrainy in November transferred UAH 8.1 billion of dividends to the national budget in accordance with the schedule approved by the government, bringing the total amount of their payment this year to more than UAH 21.5 billion. "The company must pay the balance of UAH 7.9 billion until December 25, 2018," it said in a press release. Naftogaz noted that, according to the government's decisions, it pays 75% of its net profit for 2017 in dividends, while last year it transferred UAH 13.3 billion to the national budget, which accounts for 50% of its net profit for 2016. The company's net consolidated profit in 2017 increased by 48.3%, to UAH 39.330 billion, net income by 16.4%, to UAH 187.927 billion.